I was surprised with the ease of the new Fedora 23 Workstation. 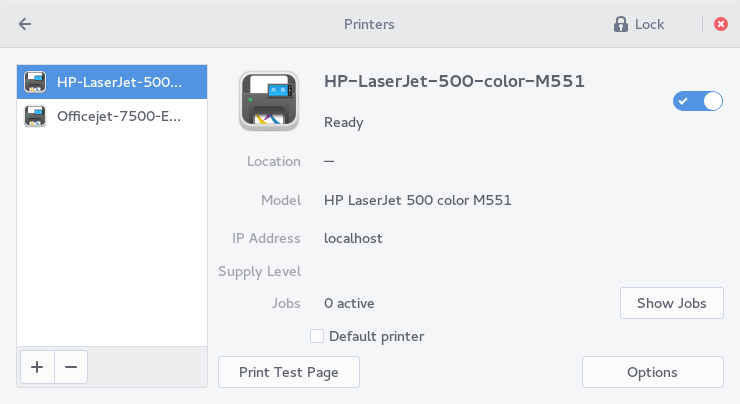 I was adding my network printer HP LaserJet 500 series M551 to my Fedora 23. 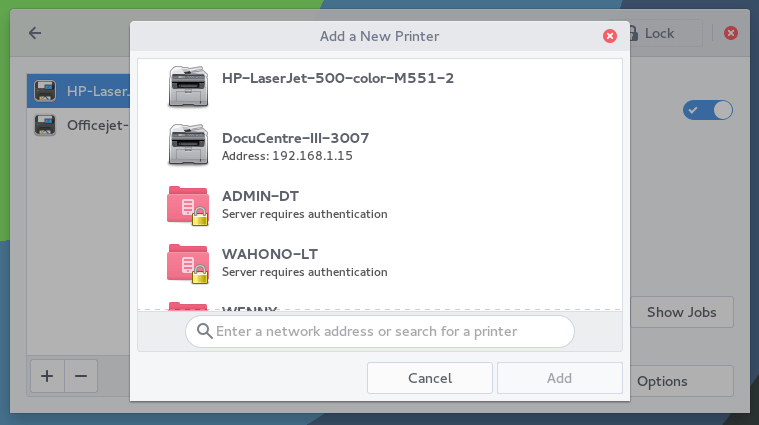 With few clicks I can connect my Fedora 23 to my network LaserJet 500 M551 printer. My printers are listed and within few clicks all works. To add printer, simply open Settings and go to Printers. Click + button to add new printer. The program will scan for any detected printers. Simply click on the printer name to add it to Fedora. Fedora will automatically install the software for you.